This property is located just off Airds Road in the Minto industrial precinct and is situated within close proximity to both the Campbelltown Road and Brooks Road on-ramps to the M5 Motorway and then onto the M7. This clean and tidy, industrial property occupies an excellent location, suitable for many Industrial and other businesses. Contact Andrew Magalas on 0403 259 286 for further details. Commercial Sales & Leasing consultant P: 1300 862 988 M: 0403 259 286 Director and licensee Andrew Magalas is a licenced Real Estate Agent, Strata Agent, and Business Agent. 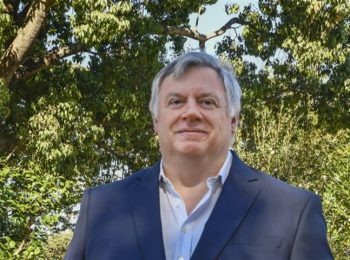 He commenced his Real Estate career with Phillip York Real Estate, in the ultra-competitive Inner western Suburbs real estate market. Andrew commenced his Commercial Real Estate Career with Niemeyer’s in 2011, later moving on to Raine & Horne Commercial Macarthur, he has acquired an expertise in the Western and South-Western, Industrial & Commercial and Retail markets. While properties are instrumental, it’s all about understanding the clients’ needs and fulfilling the requirement. When working with Andrew you can be assured you are working with an honest and approachable agent who genuinely cares about your circumstances and wants the best result for you. If you would like to discuss your property needs, contact Andrew.